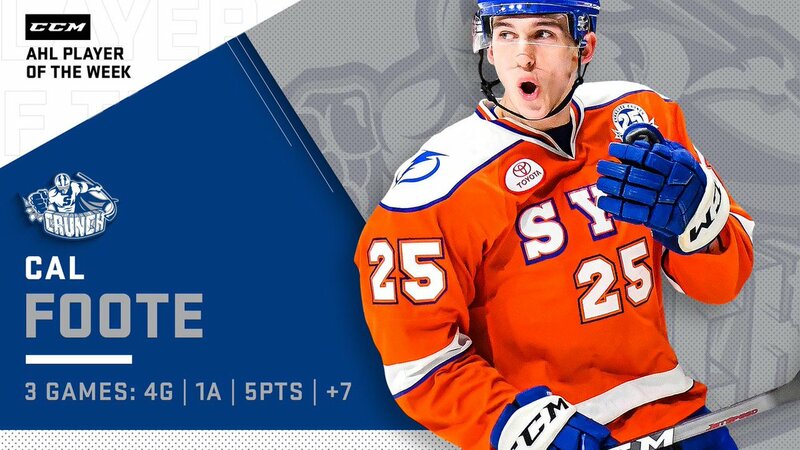 With five points last week, including a game-winning goal, @SyracuseCrunch defenseman Cal Foote is the @CCMHockey / AHL Player of the Week. I'll be happy if he plays to 75% of his old man. (and It appears he is fully capable of that, and more). The Lightning can take their sweet time developing him to be his absolute best too thanks to the Cernak boomlet.